Slimming World Essentials – Whether you are new or old to food optimising, this list is great for anyone following the Slimming World plan and is your one-stop place for recipes, meal plans, tips, reviews and shopping lists. After reading about Slimming World, you may be wondering if online or a Slimming World group is the best for you. This post on The Benefit of Slimming World Classes may answer any questions you have. Maybe you have been a member a while or have been reading about speed foods and you are confused about how to incorporate them into your meals. Take a look at my posts The Benefit of Speed Foods and Speed before Free Foods. Maybe you are browsing this after falling off plan and needing to get back on track. My 10 Tips to Increase Motivation on Slimming World may be just what you need. If you are on a tight budget. 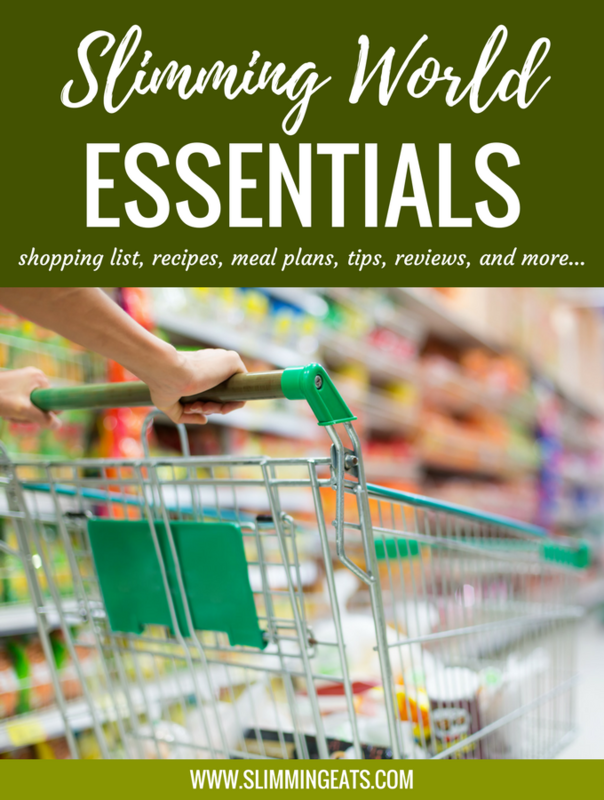 I recommend checking out my 20 Tips for shopping on a budget. If just starting Slimming World or maybe you are looking for some new ideas for staples to add to your kitchen, well this Slimming World Essentials is just the post for you. Below is a list of the basic foods I always make sure I have in my pantry cupboard, freezer and fridge. There are obviously things I sometimes buy outside of that list and you will see such items in the Slimming World friendly products links below. I always make sure I have a good stock of meat/fish products. I often buy big packs and then portion up and freeze, that way I can take out what I need without any waste. It is handy to have a supply of the frozen vegetable bags so that you can always get that speed food on your plate, at times when you need to put together something quickly. Sometimes if I have onions and peppers that are close to spoiling, I chop them up into slices and freeze in freezers bags. You can do this for a whole heap of vegetables and is a great idea for homemade oven chips (check the link for how to prepare those for freezing) too. I also add fresh chilli’s, whole bulbs of garlic, and peeled ginger root into ziplock bags and freeze, as you never know when you might need some. Far too many for me to actually list, oh boy you should see my collection. My advice would be to start with the basics and each week or fortnight buy a new one until you build up a good selection. Spices are what add all that lovely flavour to your food. Start off with those and go from there. You can gradually add to those as you start cooking my recipes. Also, check out my Syn Free/Low Syn Snacks post for many more ideas. 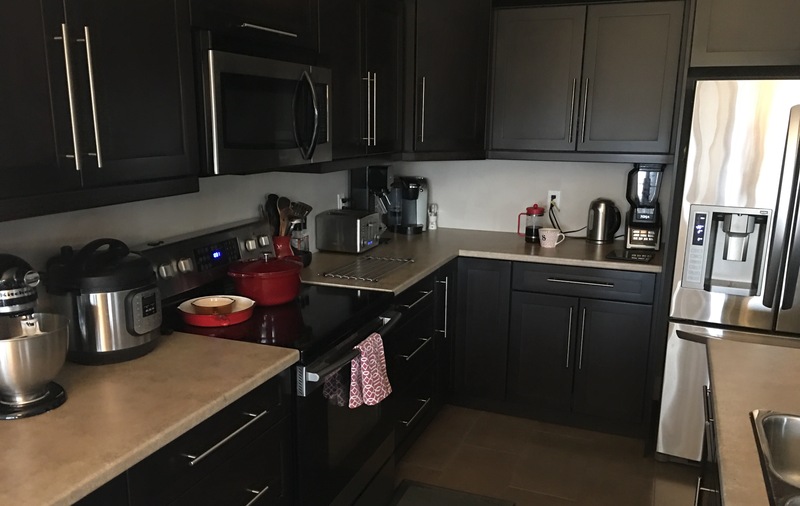 The place where all the recipes on Slimming Eats are created. Obviously, it is not vital you have every single item here, but these are what I own and use regularly. Peeler – perfect for peeling spuds, carrots, apple etc. Ziplock Freezer Bags – I should have shares in these, love them for freezing all kinds of things. Following Slimming World in Canada? This is just the post for you. Find Slimming World friendly products here for Canadian grocery stores. if you love grocery hauls, this is the link for you, here I share some of my grocery hauls of Slimming World friendly products.